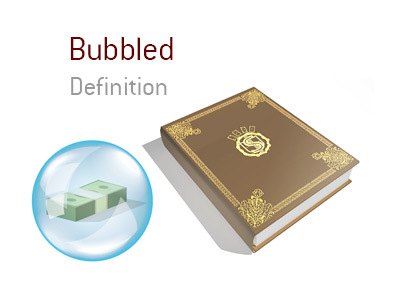 What does the term "bubbled" mean in the world of poker? What is meant by the term "bubbled" in poker? 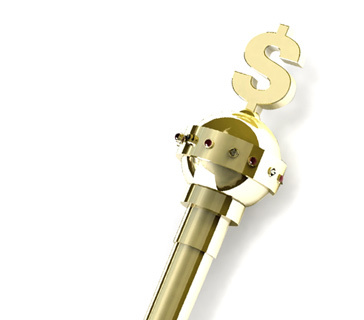 "Bubbling" occurs when a player is knocked out of a tournament one before the money. So, let's say that you are playing in a 400 player tournament where the top 100 spots will pay out. After hours of playing, you are eliminated in 101st place after having your pocket Aces cracked in a massive pre-flop confrontation. In this case, you would have "bubbled" the tournament, as you would have finished one out of the money. Professional players know that bubbling occurs and that it is just a part of playing poker. Some tournaments you are going to win, and some you are going to lose in heartbreaking fashion. For amateur players, however, bubbling can be absolutely crippling to their psyche. In many cases, amateur players are playing for life-changing money and getting eliminated just before the bubble is absolutely heartbreaking. Smart players know that they should increase their betting pressure around the bubble, as amateur players will usually become extremely tight players in order to make the money. Can Erick Lindgren Become the First Multiple WSOP Bracelet Winner in 2008?